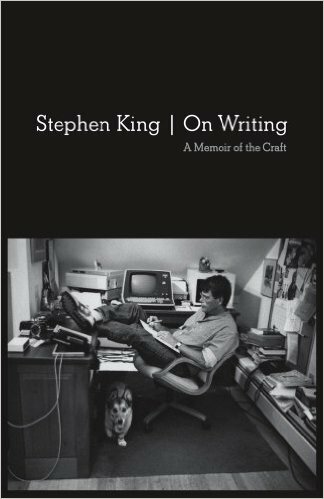 Not a fan of Stephen King’s writing, except for this book, which is the best book on writing–ever. Tags: Writing, books, content marketing. You want to write. Not just fiction, not just non-fiction, not just books, but any sort of writing whatsoever, including killer emails (no, not that kind of killer email). I read a lot of books when I was a kid. Once I picked a book up I couldn’t stop reading it, that is, until I read Stephen King’s Thinner. That was the first book I started reading, stopped reading, and left unread. It’s not that it was scary–it was repulsive. It made me feel bad about the world and myself. I assumed Stephen King was a scumbag and went on my merry way. Our paths didn’t cross again until 2011 when I stumbled onto this book after listening to an interview he gave to NPR. Even though I didn’t like King’s writing, I had to admit he was successful at selling books. I figured I could learn something from him, even if he was a scumbag. This book rocked my world. Not only did I find the best book on writing I’ve ever read (and I’ve read more than a few), but by the end my opinion of Stephen King had done a complete 180. I still don’t have any desire to read his other books, but I think he’s a great guy. If I met him in person I’d want to give him a big hug, except I wouldn’t want to creep him out. I had a similar reaction after reading Keith Richards’ memoir, and I’m not a Stones fan by any stretch. King’s book made me a better writer and a better person. I’m less judgmental of those with different opinions than my own. I’m more likely to consider someone’s point of view with respect and serious consideration even if it differs sharply with my thoughts on the matter. If you’re looking for writing tips, it’s good for that, but there’s a bigger reward waiting.